Ep. 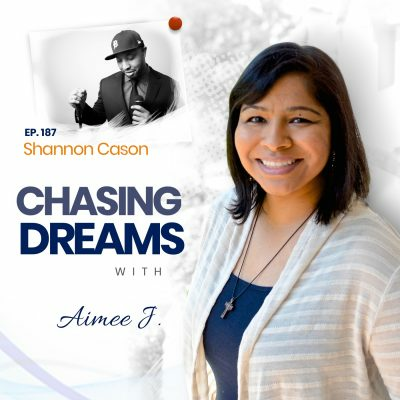 126: Aimee J. 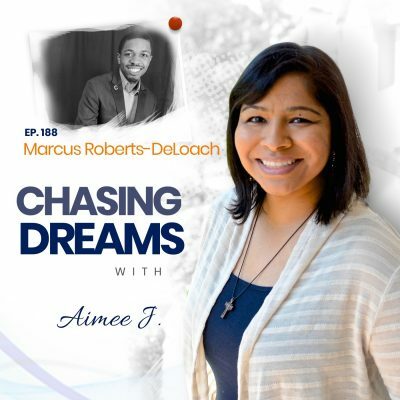 ­- Just Be You | Aimee J.
Aimee J. is a software developer, podcaster, speaker, and Chief Dream Chaser on the Chasing Dreams podcast. She began podcasting in 2013 and has launched multiple podcasts including Revisiting Haven, which discusses the TV show, Haven, and took her to Nova Scotia, Canada to interview the cast and crew on location. 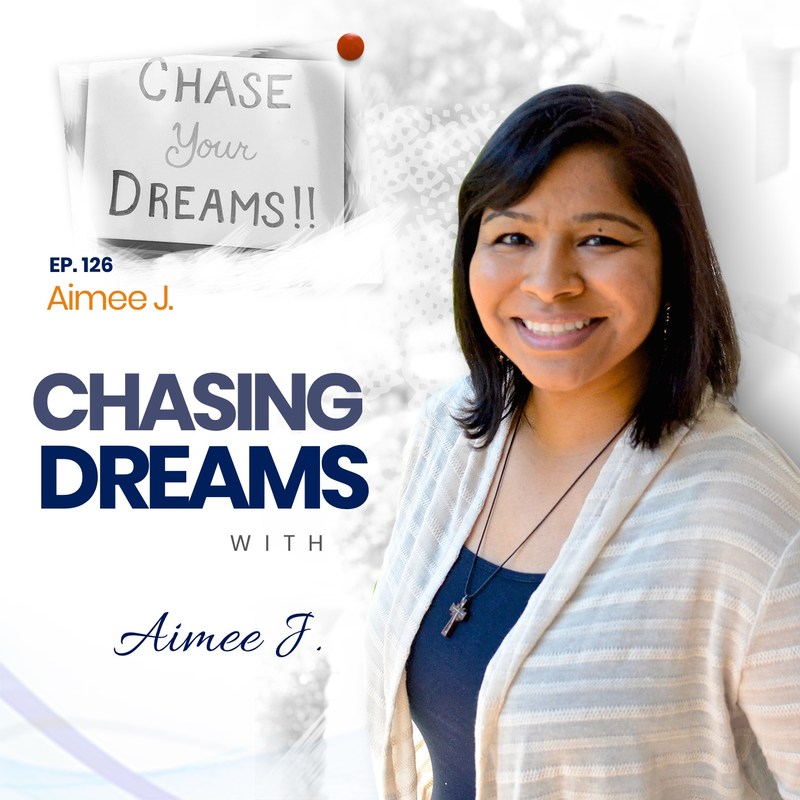 With her latest podcast, Chasing Dreams, Aimee is working to inspire and motivate people to chase their own dreams. Aimee believes that it is important to live without regret, and as such, you need to make moves, take a chance, and chase your dreams! Do you feel that 2017 was a stressful year and a good one to leave behind? Aimee shares some of the positives from the year, like the Astros’ win in the World Series amid the hurricane disasters that were so prevalent and widespread. There were the successes of the Women’s March, the Me Too, and Time’s Up movements. There is still much work to be done! The gender equality struggle goes on, and we need to eradicate cyber-bullying, poverty, hunger, and homelessness. Mental illness, racism, and heterosexism still plague our society. Let’s look forward to what each of us can do in 2018! What do YOU think the world needs? You may think we need another Oprah Winfrey, Ellen DeGeneres, or Barack Obama, but the truth is—-the world needs YOU! We need people who are inspired to help make the world a better place. YOU can change the future, if you just live your truth and are honest with the world! Do you think normal people can’t change the world? Think again! Actor Chris Wood started the I Don’t Mind movement, which promotes mental health awareness, fighting stigma and shame. The ladies of the DCTV world are building a positive and inspirational space for women through SHETHORITY. Danica Roem is the first transgendered legislator, recently elected to the Virginia House of Delegates. These are just a few examples of people who are changing the world, proving that YOU can influence and affect those around you. [2:40] No end in sight! Moving forward into 2018! [15:20] What’s coming in 2018? Removing fences, focusing on monthly themes, “Ask Aimee,” the Patreon campaign and “Where are They Now”—AND, I’m writing a book!